The crime/thriller is one of cinema's most exciting film genres and Sicario is the latest film that has been whipping up a storm. Sicario marks the return of Denis Villeneuve to the director's chair, while Emily Blunt, Josh Brolin, and Benicio del Toro make up a very exciting cast list. To celebrate the release of Sicario, we take a look at some of the best crime/thrillers that have graced the big screen over the years. We have seen Jake Gyllenhaal star in a series of crime/thriller projects during his career and he returned to this genre in 2012 with the fantastic End of Watch, which saw the actor team up with writer and director David Ayer for the first time. Shot in a documentary style, End of Watch follows LA police officers Brian Taylor (Gyllenhaal) and Mike Zavala (Michael Pena) and the daily grind and dangers of their job. But the danger increases when the duo become the target of the country's most dangerous drug cartel. From start to finish, End of Watch is a visceral and hard hitting movie that will have you on the edge of your seat and rarely gives you time to catch your breath. For me, End of Watch was a welcome change when it came to cop movies as this film follows two upstanding cops who put their lives on the line every day rather than telling a tale of a cop that is on the take. And while this is a film that is packed with car chases and shoot outs, End of Watch is a film that is about the bond of police brotherhood. There is a terrific chemistry between Gyllenhaal and Pena and it is this central relationship that elevate this film and helps the climax of the film pack and even greater punch. Gyllenhaal and Pena are two fine actors and together, they create a bond, a friendship, and a trust between these two characters that is warm, genuine, and rock solid. End of Watch was one of my favourite movies of 2012 and it is a movie that is as funny as it is thrilling with two wonderful central performances from Gyllenhaal and Pena. Clint Eastwood turned his hand to the crime/thriller in 2003 as he returned to the director's chair with Mystic River, which was a big screen adaptation of the novel by Dennis Lehane. Hard to believe that Mystic River is a movie that is already over a decade old ant yet it is still a gripping murder mystery with a terrific central performance from Sean Penn - who went on to win a Best Actor Oscar for his work. With a childhood tragedy that overshadowed their lives, three men Jimmy, Sean, and Dave are reunited by circumstance when one has a family tragedy. When Jimmy's daughter is brutally murdered Sean, now a homicide detective is assigned to the case. However, Jimmy is making enquiries of his own and they both start to suspect their old friend Dave - who harbours secrets of his own. Mystic is a complex tale of murder that is packed with twists and turns and is overshadowed by a dark secret from the past that has impacted on many lives. It is a dark and intelligent movie that sees Sean Penn, Kevin Bacon, and Tim Robbins all on got form. For me, Sean Penn gives the performance of the film as the grieving father who will do anything to see the killers of his daughter brought to justice - even if that means breaking the law himself. His pain at her death is so raw and real - the scene where he finds out she is dead and has to be restrained by the police it the film's most powerful moment. Opening to acclaim in 2003, the movie went on to be nominated for six Oscars, including Best Picture and Best Director for Eastwood. It won Best Actor and Best Supporting Actor for Penn and Robbins. It was back in 1991 when we saw Anthony Hopkins take on the role of Hannibal Lecter for the first time and, over twenty years on, it remains his greatest and most iconic performance of his glittering acting career. The Silence of the Lambs is an adaptation of the Thomas Harris novel and saw Jonathan Demme in the director's chair. It remains one of the greatest films in this genre and is as tense and chilling a watch today as it was when it was first released back in 1991. Clarice Starling (Jodie Foster), a young F.B.I. cadet must confide in an incarcerated and manipulative killer to receive his help on catching another serial killer who skins his victims. The Silence of the Lambs is a mix between crime/thriller, psychological drama, out and out horror and character study and Demme balances all of these elements to deliver a movie that is damn near perfect. It is a movie that is as gripping as it is terrifying with Hopkins and Foster both delivering memorable and career defining performances. The scenes between Hopkins and Foster are the film's most electric as they both try to outfox one another and get the advantage over each other - something that Hopkins' Lecter does beautifully. 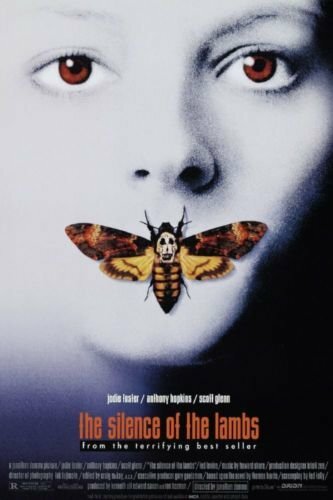 The Silence of the Lambs was a sleeper hit back in 1991 and was a film that gradually gained success and critical acclaim. The movie went on to be nominated for seven Oscars and went on to win Best Picture, Best Director, Best Actor, Best Actress, and Best Adapted Screenplay. It became only the third film to win the 'big five' Oscars, following in the footsteps of It Happened One Night and One Flew Over the Cuckoo's Nest. I have been a huge fan of filmmaker David Fincher for many years and in 2007 he brought Zodiac to the big screen, which was based on the manhunt for the notorious Zodiac serial killer who terrorised the San Francisco Bay Area in 1970s. James Vanderbilt penned the Zodiac screenplay, which was based on the book of the same name by Robert Graysmith. The movie saw Fincher back in the director's chair for the first time since Panic Room in 2002 and saw Jake Gyllenhaal, Robert Downey Jr, Mark Ruffalo, Anthony Edwards, and Brian Cox on the cast list. The movie followed the events in San Francisco during that time, how the San Francisco Chronicle is dragged into the case, and the obsession of those who found themselves involved in the case. While Zodiac was met well by the critics upon release this was a movie that did not get the exposure and the success that it should have - it really is a terrific watch about one of the most famous unsolved murder cases in American history. This is a character and dialogue driven movie with Fincher cranking up the tension and the suspense with every single frame. The film is as much about the characters on the hunt for the killer as the murderer and killings. It's a movie that is sinister and packed with menace and is not to be missed if you are a fan of this genre. Gyllenhaal and Downey Jr both deliver wonderful performances as Robert Graysmith and Paul Avery, a cartoonist and a journalist at the San Francisco Chronicle both of whom found themselves embroiled and becoming obsessed with the case. Training Day was a movie that whipped up a storm in 2001/2 as Antoine Fuqua returned to the director's chair for what was only the third feature film of his career. David Ayer was also on board the project to pen the screenplay. On his first day on the job as a Los Angeles narcotics officer, Jake Hoyt (Ethan Hawke), a rookie cop, goes on a 24-hour training course with rogue detective Alonzo Harris (Denzel Washington) who isn't what he appears. From start to finish, Training Day is a brutal police drama that is as intelligent as it is action packed. However, the film's driving force is the stunning central performance from Washington as Harris. We were not use to seeing Washington take on this kind of corrupt/baddie role and he really did thrive in this chance of pace and direction for him. While we all love Washington as a hero, he really does make a wonderful villain and I wish he would take on more roles like this as you just cannot take your eyes off him. Hawke also gives a great performance as the rookie, but it is Washington that steals every scene that he is in. Both Washington and Hawke picked up Best Actor and Best Supporting Actor Oscar nominations for their work - it was Washington who triumphed on the night. He became only the second African American to won the Best Actor Oscar - following in the footsteps of Sidney Poitier. Ben Affleck has turned into one of the most exciting filmmakers in Hollywood and in 2010 he returned for his second feature The Town. After the critical success of hit debut Gone Baby Gone, he returned to the crime drama with the adaptation of the novel Prince of Thieves by Chuck Hogan. As well as being in the director's chair, Affleck teamed up with Peter Craig and Aaron Stockard to pen the screenplay and too on the central role of Douglas "Doug" MacRay - it was the first time that he had starred in one of his own movies. 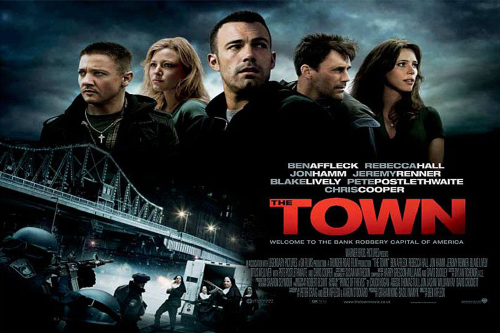 The Town is one of the best heist movies of recent years and it really helped cement Affleck as a filmmaking force that was not to be ignored - his transition into the director's chair really changed the direction of his career and helped put him back onto the A-list. This is an intense film that puts the characters and not the action/set pieces at the core of the film. Affleck, Jeremy Renner, Rebecca Hall, Blake Lively, and Jon Hamm all give terrific performances as they all play their part in a riveting game of cat and mouse. There really is suspense around every corner and Affleck masterfully notches up the tension and the danger, which really is around every corner. The Town proved to be a second critical hit for Affleck as he showed the Gone Baby Gone was not a fluke. Jeremy Renner went on to pick up a Best Supporting Actor Oscar nomination for his performance. Steven Soderbergh returned to the director's chair in 2001 for his crime drama Traffic, which was his first film since the success of Erin Brockovich. The movie was an adaptation of a British television series Traffik and explored the illegal drug trade from a number of different perspectives: a user, an enforcer, a politician and a trafficker. Stephen Gaghan was on board to adapt the TV series into a screenplay. 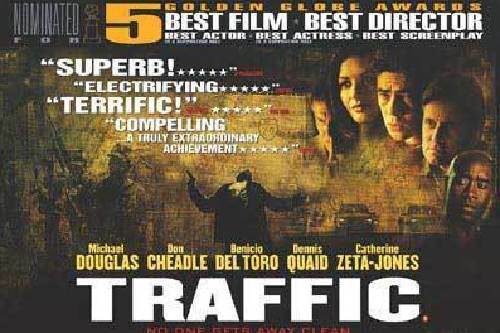 Traffic is a movie with a lot going on as there are different storylines, perspectives and a very large cast and yet Soderbergh balances them all wonderfully and pulls off what is a very ambitious and complicated film. This is a movie that is incredibly intelligent, thought provoking and will leave you asking many questions when the credits roll - this is successfully achieved by not have a clear good/bad guy and leaving the audience to make that decision for themselves. Traffic may be a very complicated movie but it is one that will keep you well and truly glued to the screen. It is engaging throughout and sees the likes of Benicio Del Toro, Catherine Zeta Jones, Michael Douglas, and Don Cheadle all delivering terrific performances. Traffic was met with critical acclaim when it was released and went on to be a box office success. The movie went on to be nominated for five Oscars, including Best Picture. It went on to win Best Director, Best Supporting Actor for Del Toro, Best Adapted Screenplay and Best Film Editing. Other great movies in this genre include Heat, Out of the Furnace, The Usual Suspects, Prisoners, and The Departed. Sicario is released 8th October.